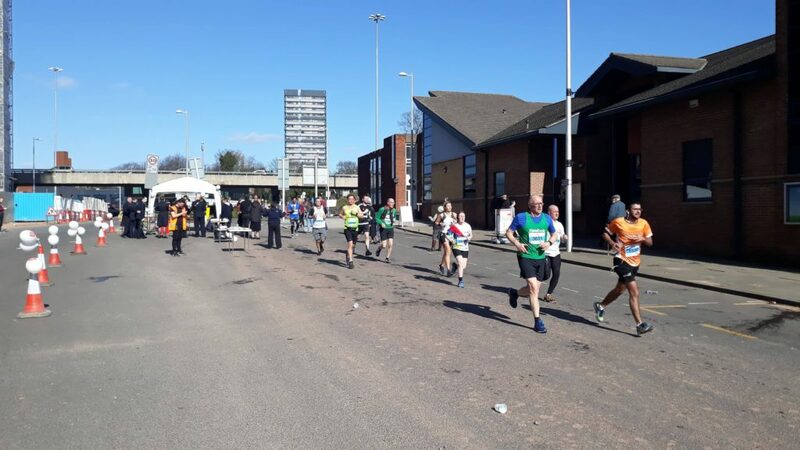 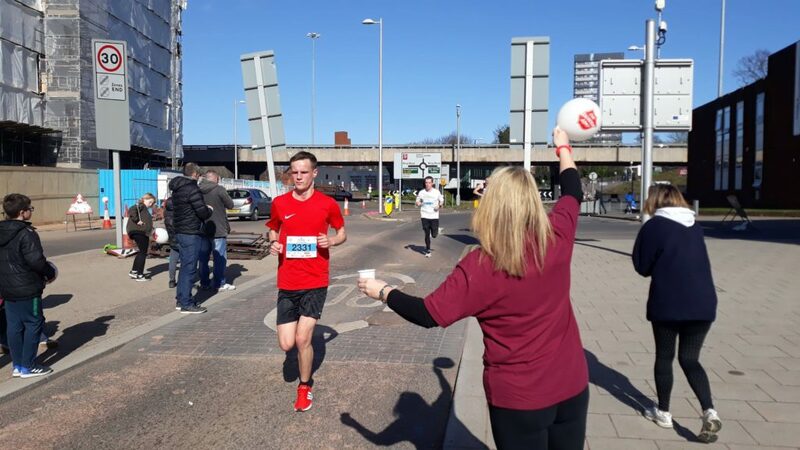 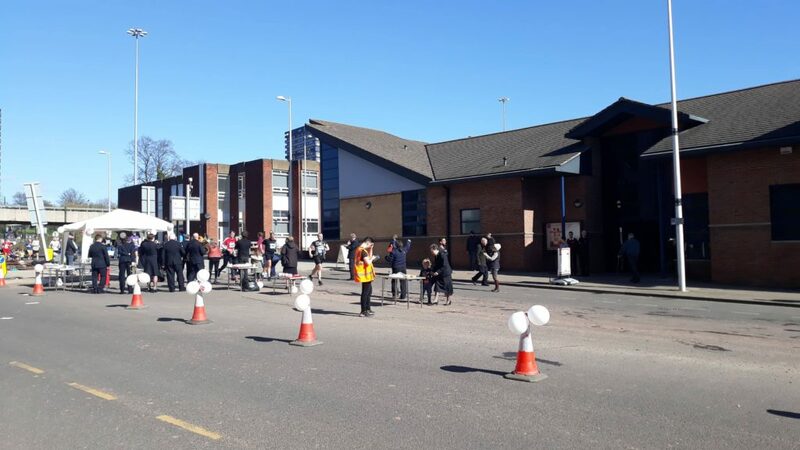 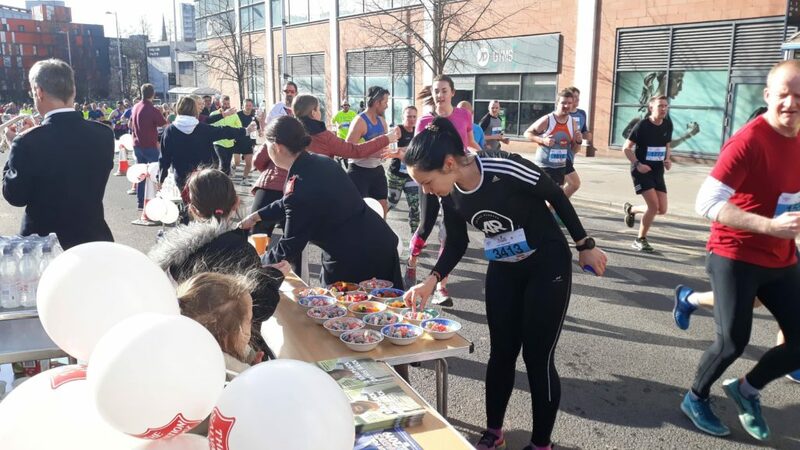 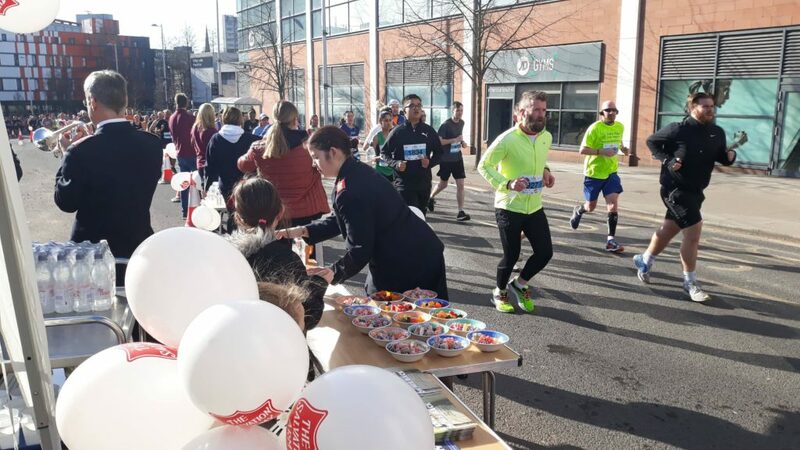 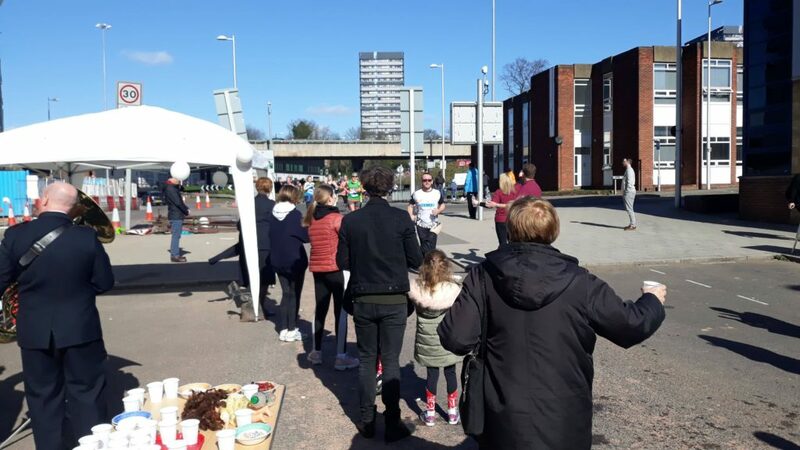 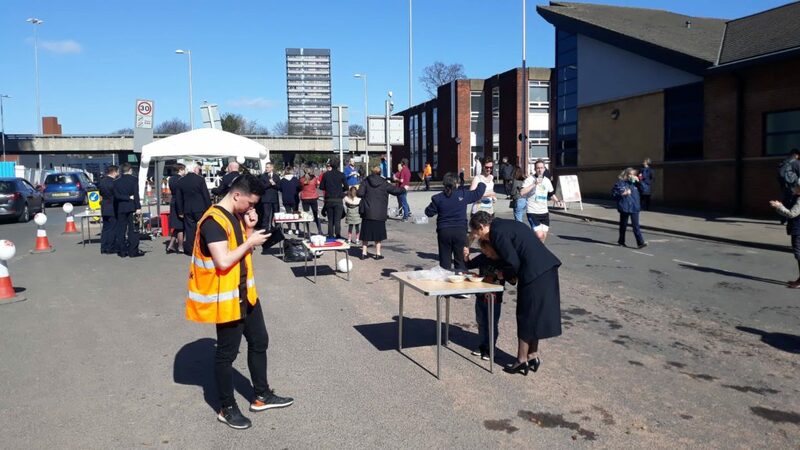 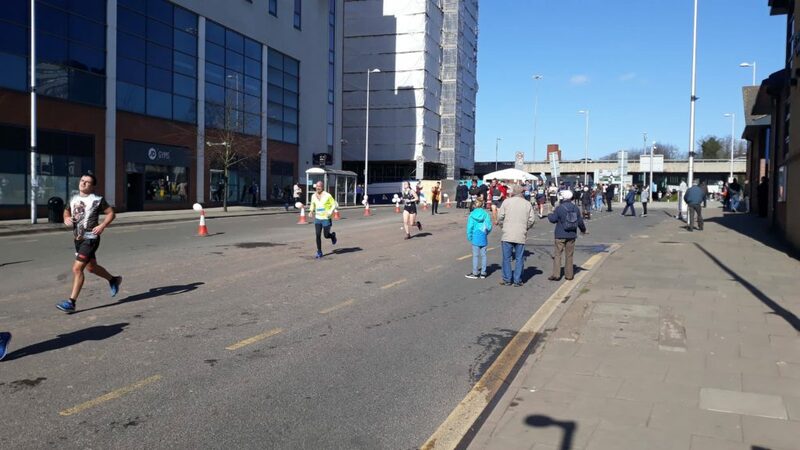 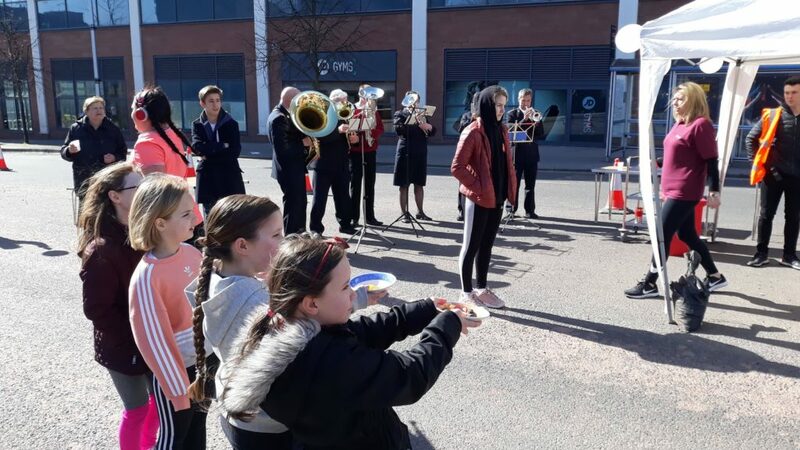 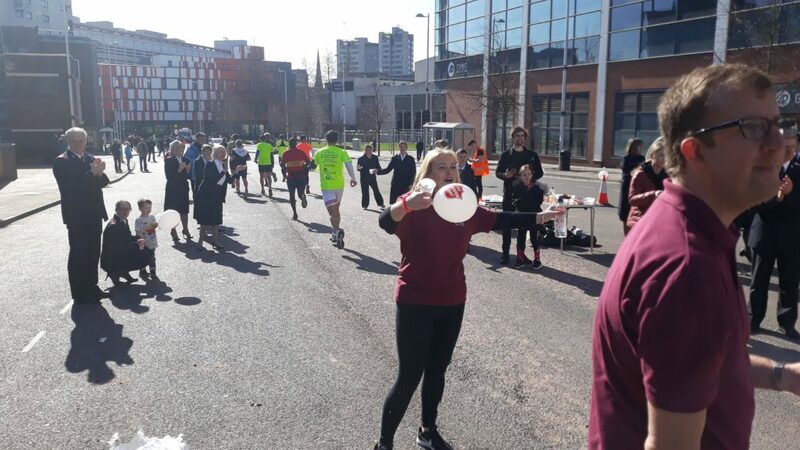 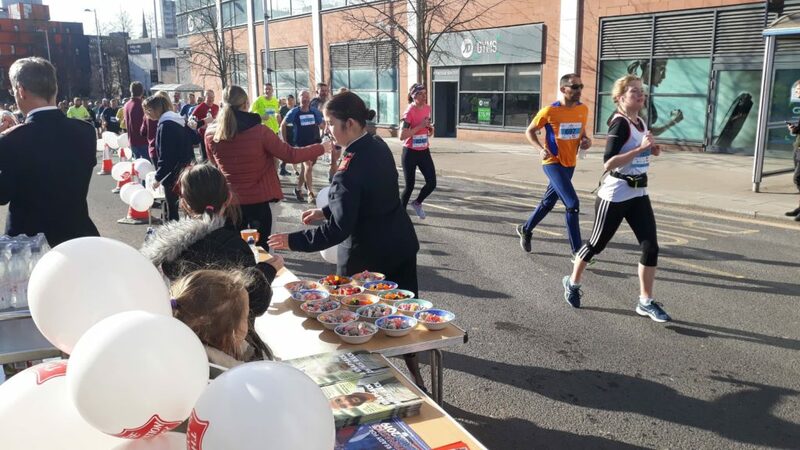 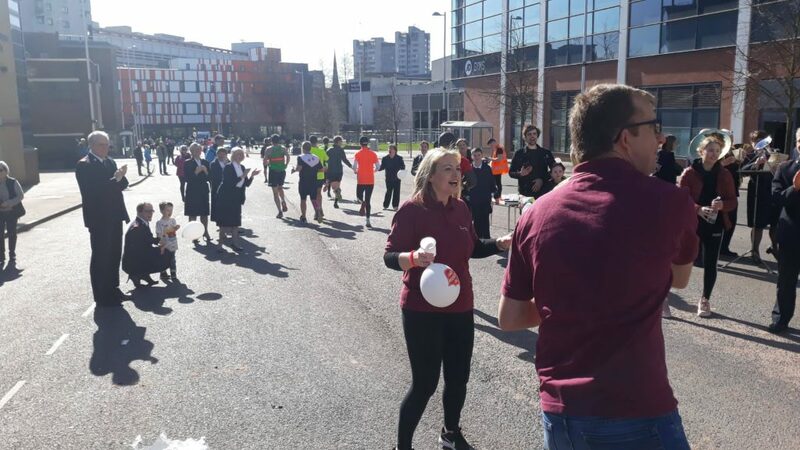 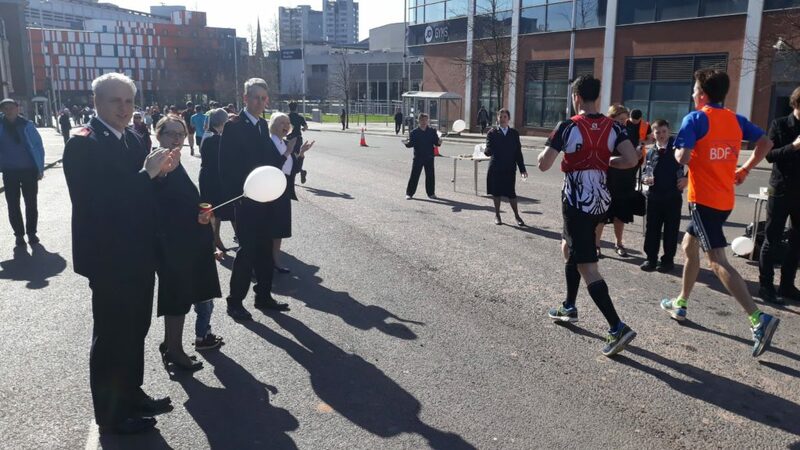 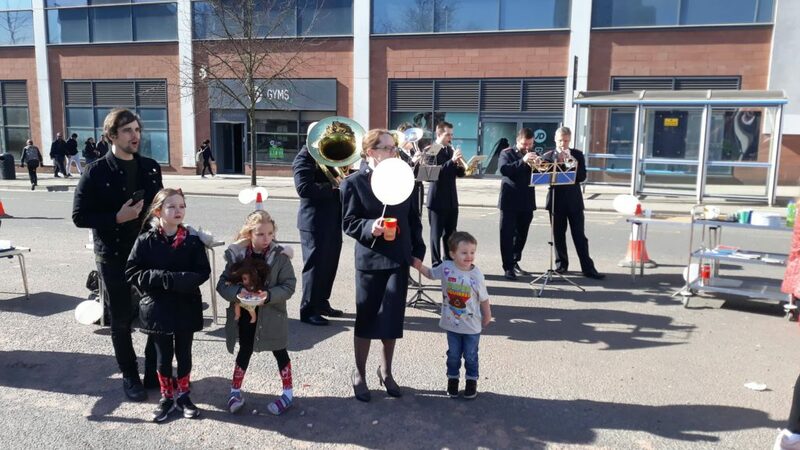 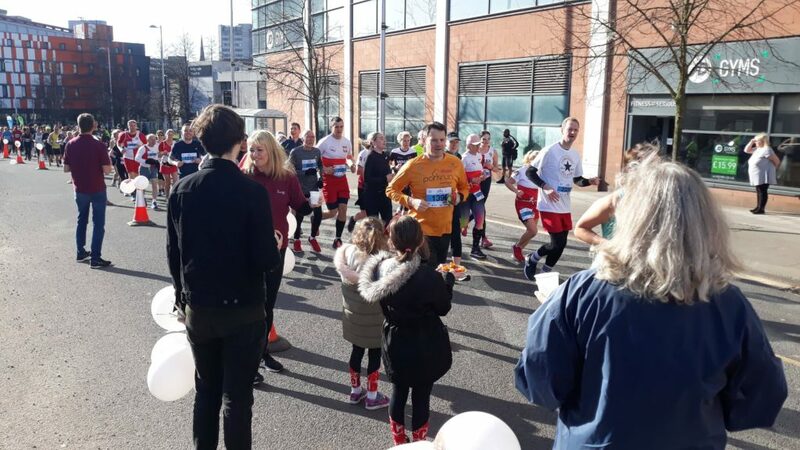 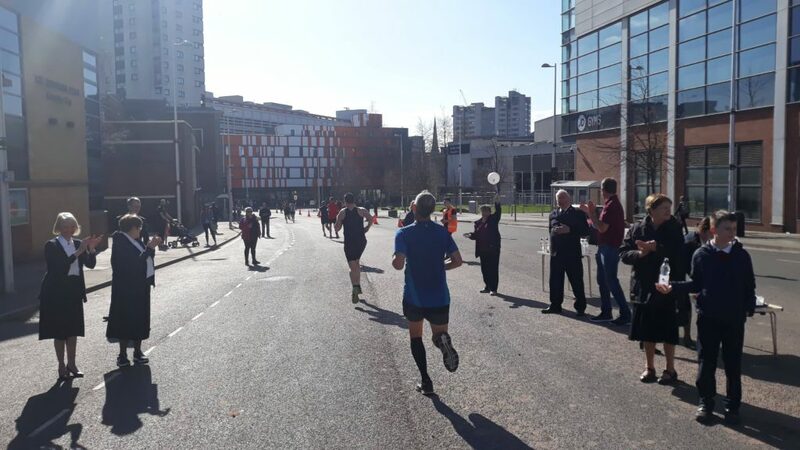 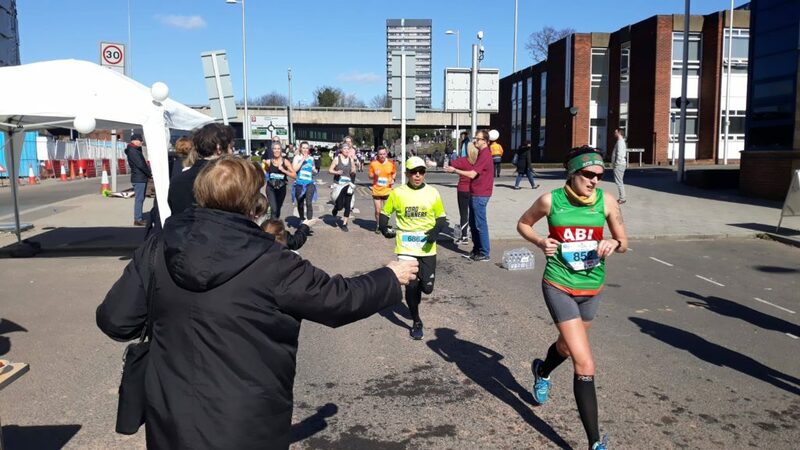 Today, The Salvation Army in Coventry once again took the streets to support the thousands of runners taking part in the city's half-marathon. 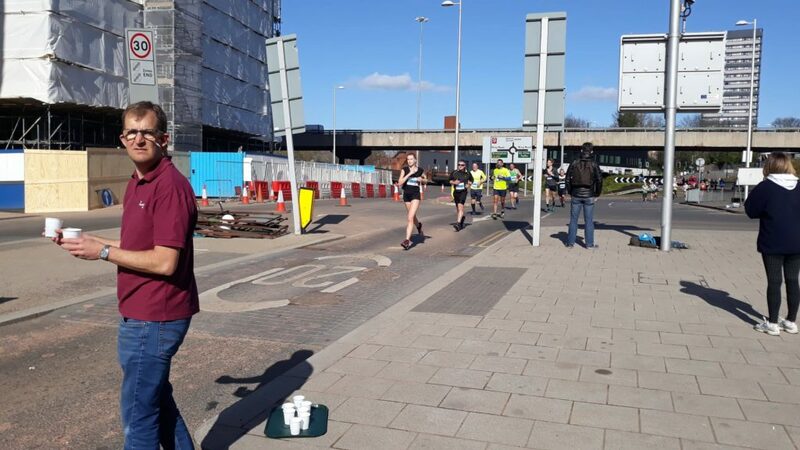 Cheering on from outside the building on Upper Well Street, a crowd of enthusiastic supporters distributed hundreds of bottles of water, thousands of sweets and bucket loads of support for runners taking part in the 5k, half-marathon and wheelchair races. 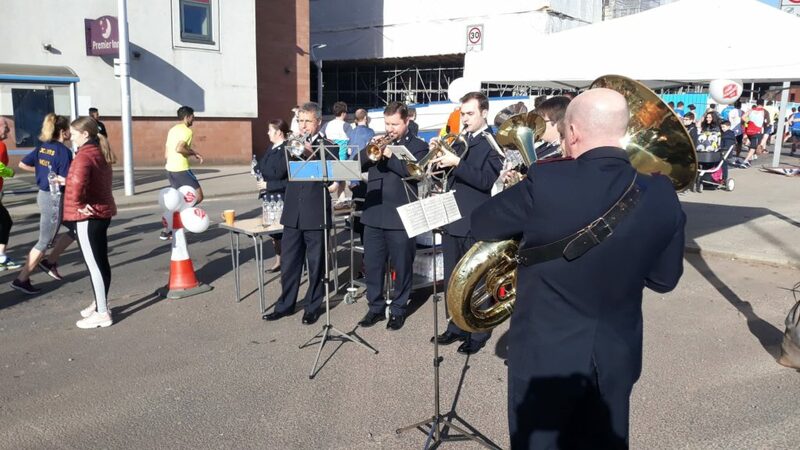 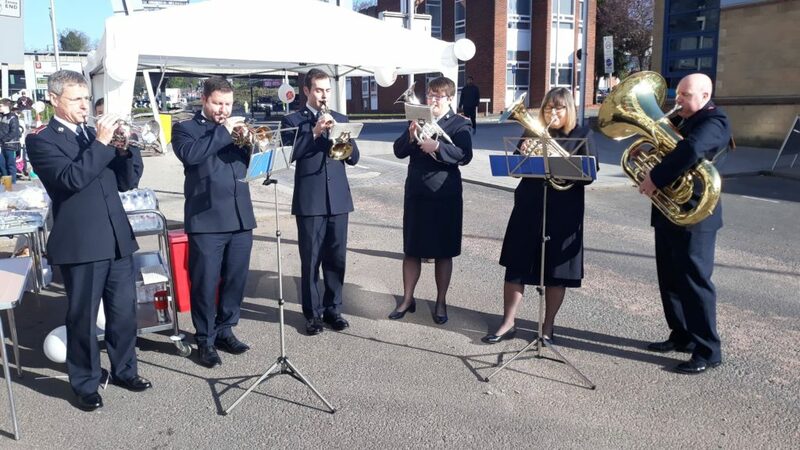 To add even more atmosphere to a day of exciting events, a small brass band played throughout all races to help participants on their way. 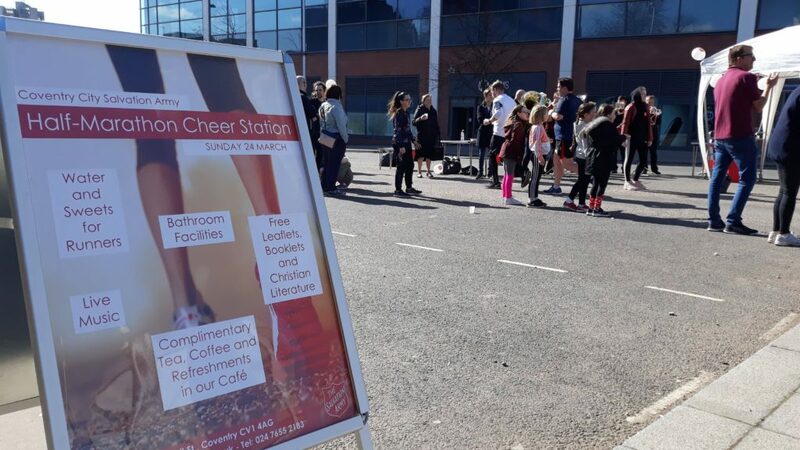 The Salvation Army also opened its cafe from 8am to serve free tea, coffee and refreshments to spectators. 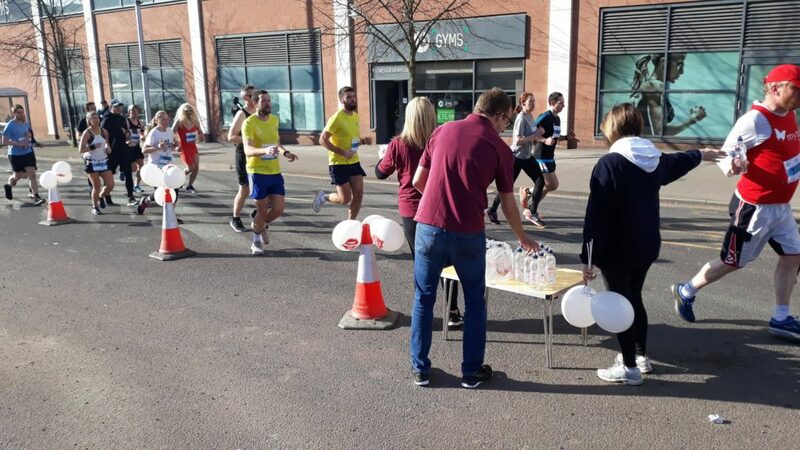 It is the second time a Cheer Station has been organised and many runners spoke of their gratitude for the extra support.